Welcome to paradise! 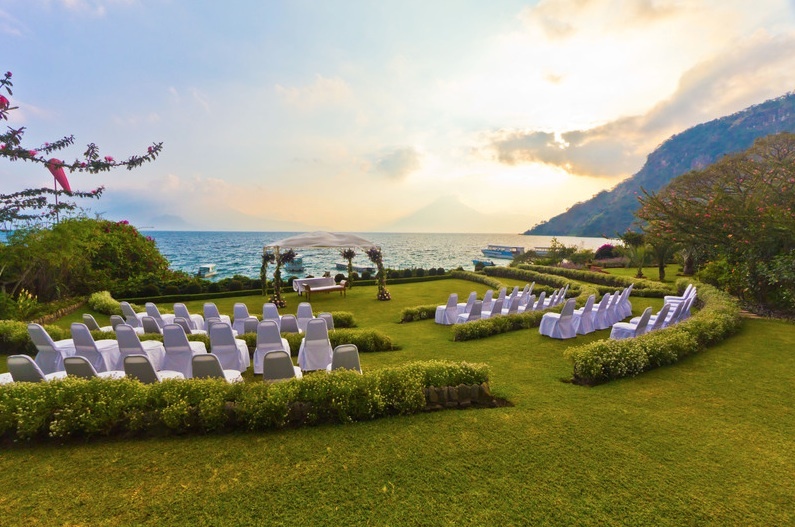 Enjoy the most beautiful landscape of Guatemala surrounded by Tolimán San Pedro, and Atitlán Volcano and its beautiful lake. 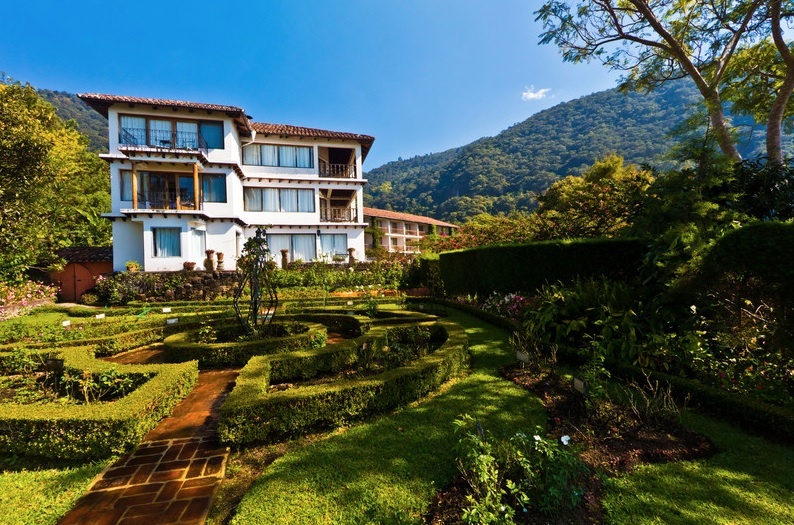 Enjoy our gardens and have an unforgettable experience. 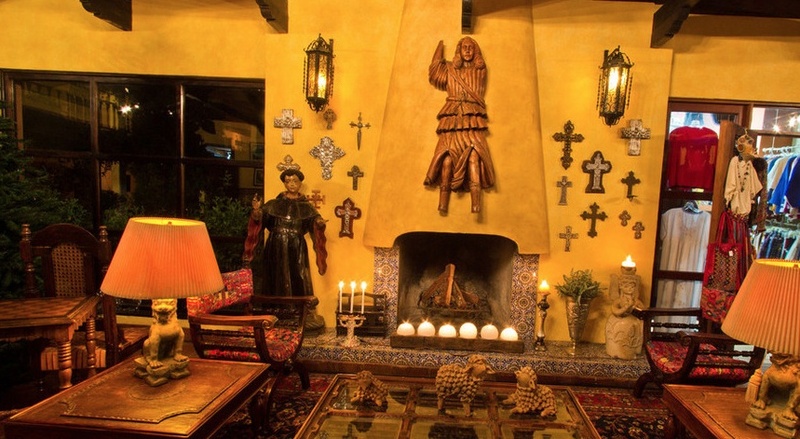 The estate was purchased by Moses and Rosa Blanca Rivera at 1.926 to the family business began growing coffee. 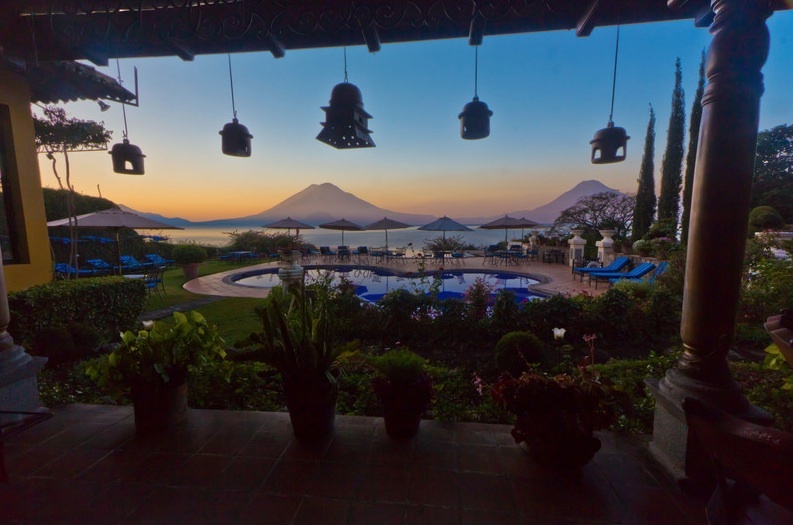 In 1970, Arthur had inherited land from their parents and, with his wife Susan, built what is now Hotel Atitlan. The first wing was input, bar,restaurant and 14 rooms were completed in December 1.971. The second wing of 29 rooms was completed in 1.974 and the final construction of 22 rooms at 1.992. In total there are 60 rooms, each decorated individually by members of the family with its own private balcony and breathtaking views. 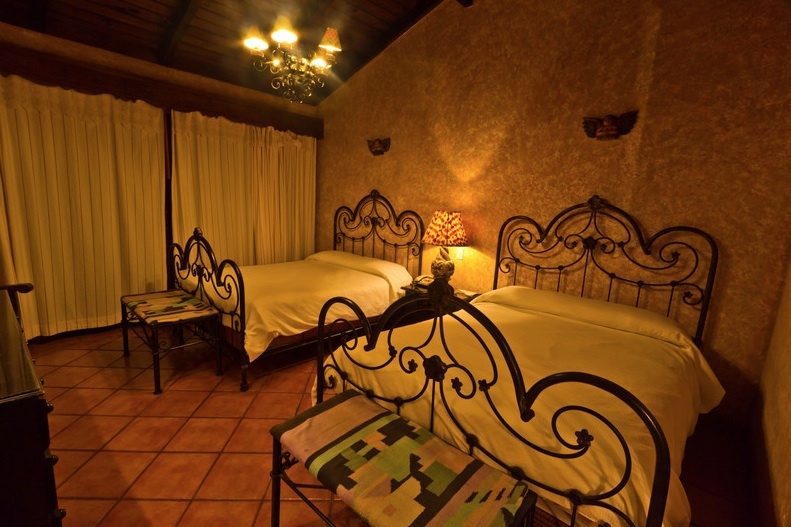 Hotel Atitlan is located in what was once a productive and successful coffee plantation called Finca San Buenaventura. The lake is surrounded by coffee plantations and is known worldwide for the quality and taste of the grains due the large variations in height. Today the environment is dedicated to the cultivation of coffee and vegetables to share the natural beauty of the farm with guests. 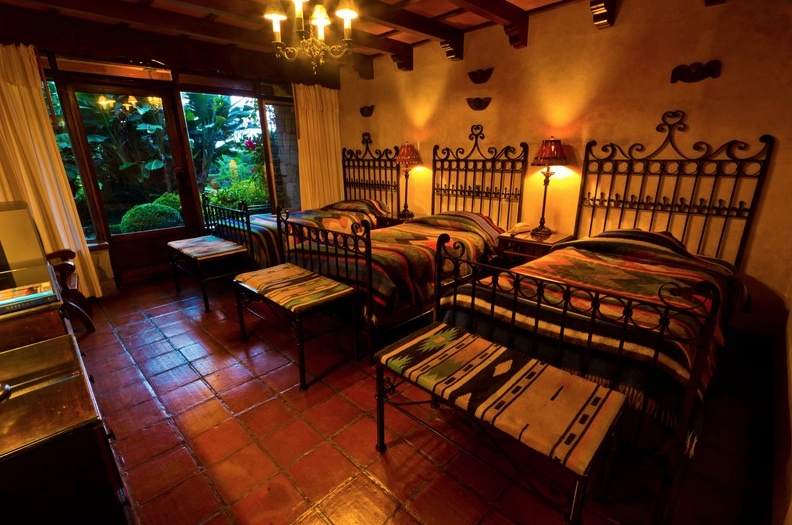 The farm has a rich past, and their titles dating from the colonial period of the Captaincy General of Guatemala (1524-1821). Geologists believe the lake began to form after a volcanic caldera collapsed some 85,000 years ago. 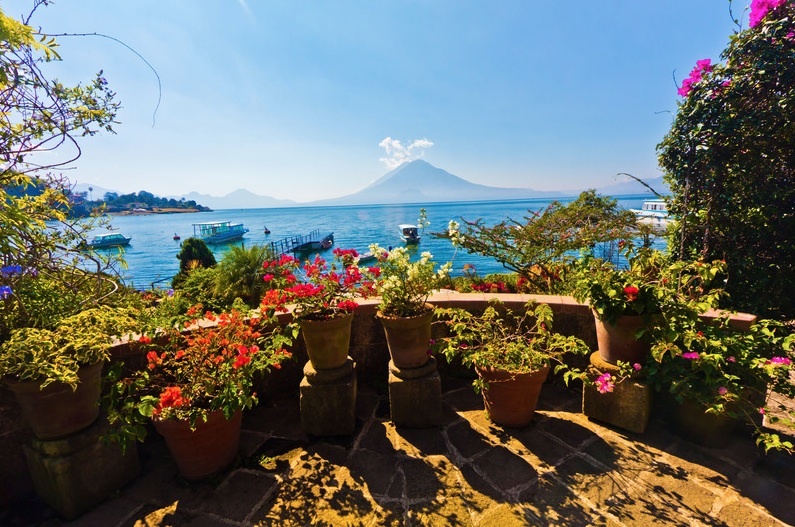 LAKE ATITLAN, famously noted for being one of the most beautiful lakes in the world, is one of Guatemala’s most prized natural treasures. Located 1562 meters above sea level and covers 130 square kilometers or 50 square miles. 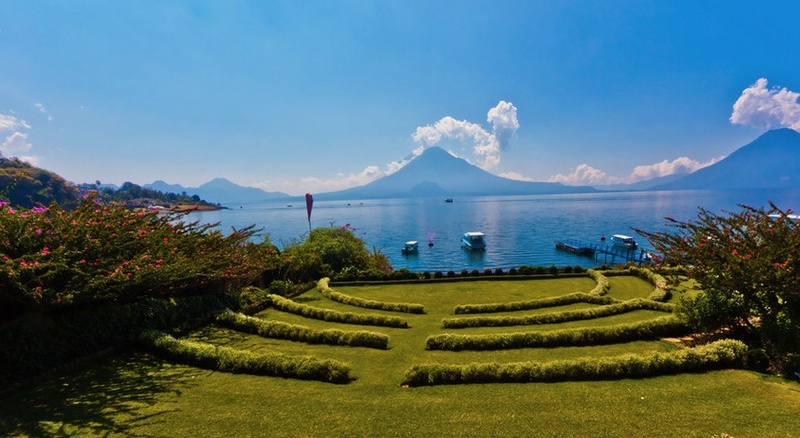 Lake Atitlán is a large endorheic lake in the Guatemalan Highlands. In an endorheic basin, rain (or other precipitation) that falls within it does not flow out but may only leave the drainage system by evaporation and seepage. Endorheic water bodies include some of the largest lakes in the world. While Atitlan is recognized to be the deepest lake in Central America, its bottom has not been completely sounded by SONAR. Estimates of its maximum depth range up to 340 meters. 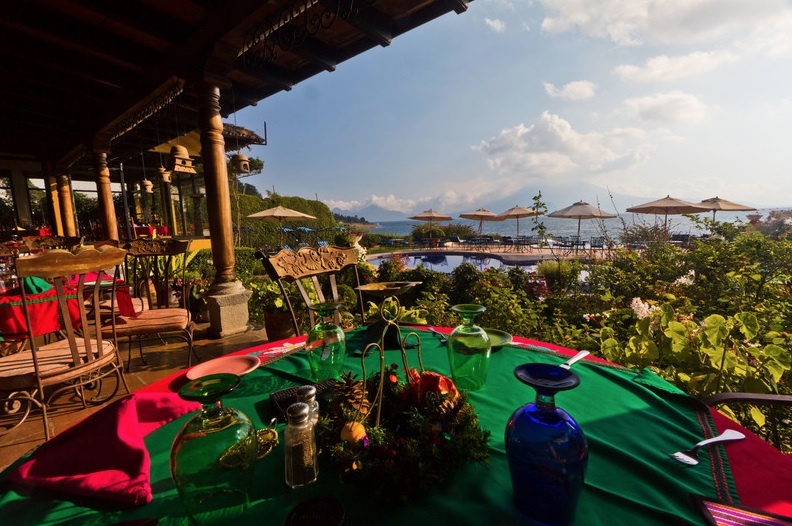 Located 5,000 ft. above sea level, diving in Lake Atitlan can be as diverse as it’s surroundings. From deep grass cliffs filled with what once was green prairies, to natural stone walls from the ramaining crater topology, a natural landscape thousand years old decorates the vast inmensity of the lake bottom. The views are in it’s own way, a dramatic portrait of its accidental past. 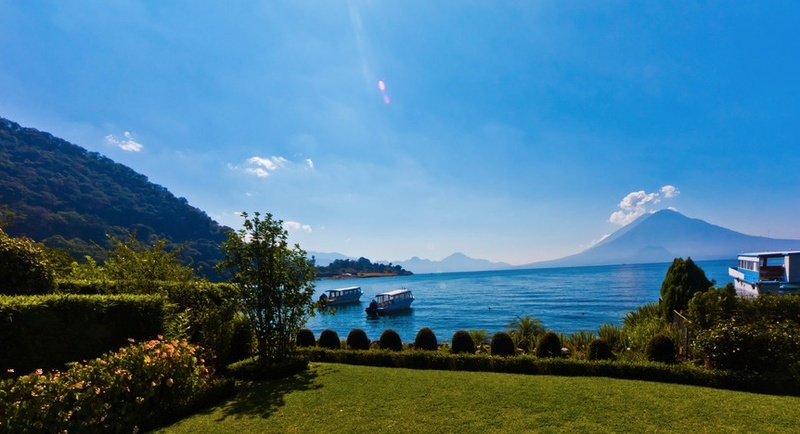 The main attraction as you dive in Lake Atitlan is the mystic and the aquatic archaelogy. Water temperature is aprox between 70 to 75 degrees fahrenheit and diving visibility is reached between 5o to 100 feet. The water is crystal clear and it’s fauna includes, black bass, white carp, Guatemala’s very own “mojarra” and a variety of ciclids. As one walks the gardens it is easy to sense the devotion that went into creating these magnificent grounds. Susan’s love of flowers and attention to the beauty of the gardens is ever present. 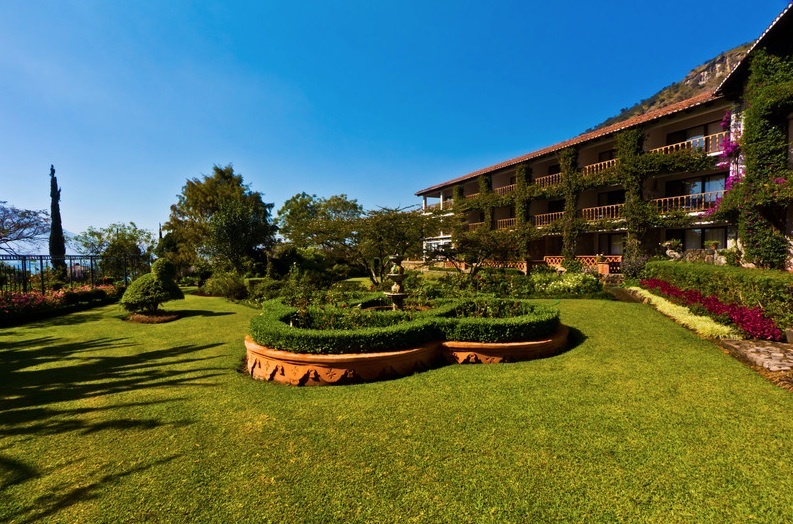 The Gardens are a spectacular collection of different gardens, each with it’s own identity and they extend from the hotel entrance to the edge of the lake. A Birder’s paradise, this part of the old coffee plantation features many species of trees and plants…habitat for a great variety of birds. Suspension bridges lead across the ravines and flowing streams op to the waterfall. At higher elevations trees are laden with Spanish moss and epiphytes, giving the impression of a cloud forest. You just may spot one of the resident monkeys hiding in the trees. Slide down the mountains in a cable 320 meters long sustained by a harness. 8 different slides will live you an unforgettable experience. You can buy the tickets at a discount price in reception. Just across from the Nature Walk is the Butterfly Farm. Here you will be delighted with a self-guided tour of discovery observing many species of the beautiful “Mariposa”. 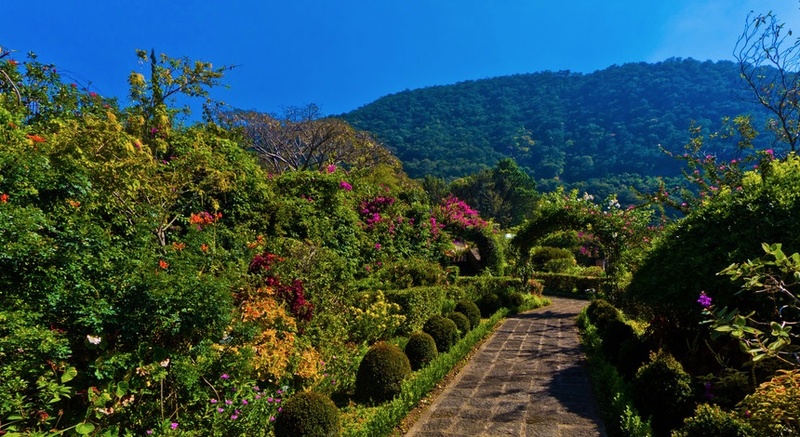 Walk through a jungle of tropical plants and orchids… habitat of the butterfly. Several boats are docked at the hotel pier. Trips to the villages around the lake can be arranged – contact the front desk. Across the lake and 30 minutes from Panajachel by fast “lancha” boats, Santiago Atitlán with a population of 48,000, is the capital of the proud and independent Tz’utujil people and one of the largest indigenous communities in Guatemala. 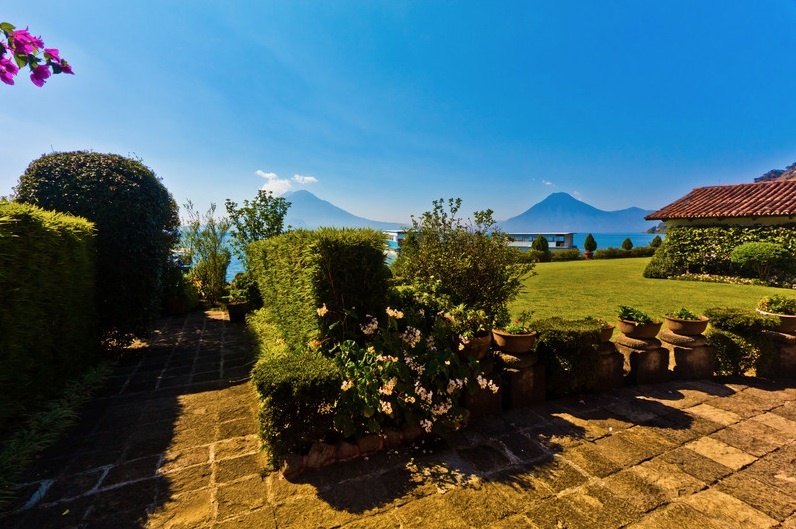 Built on the slopes of Volcan Toliman & Atitlán, is it surrounded on three sides by water and faces Volcán San Pedro across a small bay. As you approach Santiago’s shore, you will see dozens of women standing knee-deep in water, washing their families’ clothes against the rocks, often with babies in colorful slings on their backs. Traditional attire is on full display here and the locals, called Atitecos, believe wearing this beautiful clothing connects them to their ancestors. 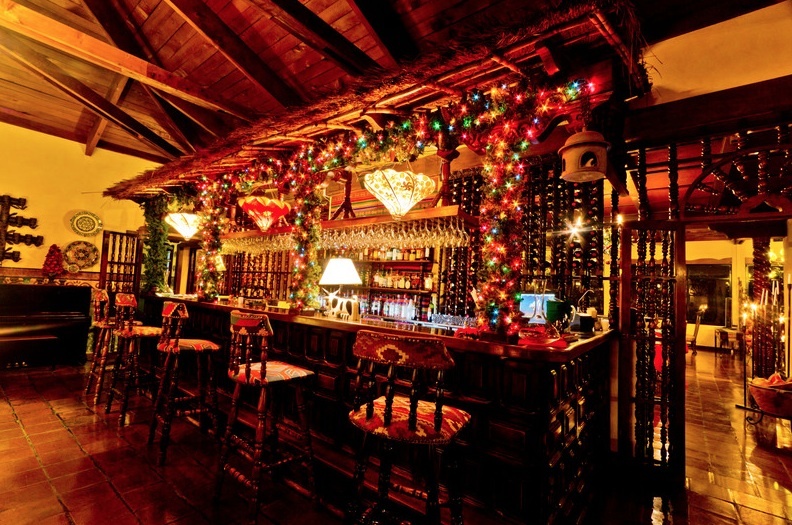 If you want to feel like you’re a little more off the beaten path, but still have plenty of good lodging options as well as some lively nightlife in the form of bars and restaurants, then San Pedro is a good bet. 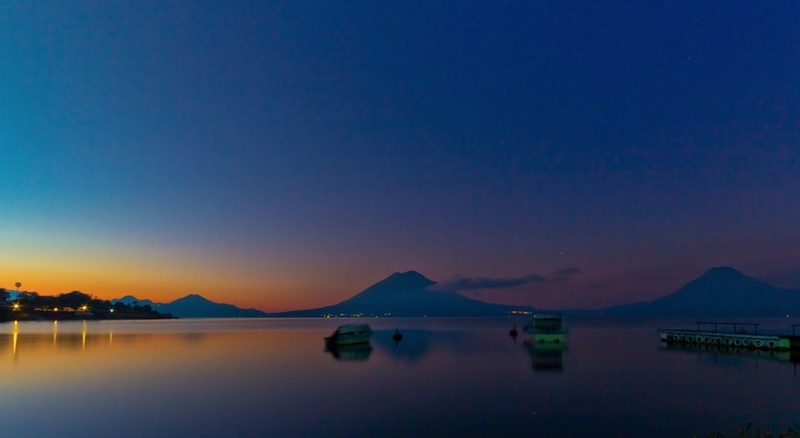 San Pedro La Laguna attracts the greatest number of tourists after Panajachel and Santiago Atitlán, almost all young backpackers. 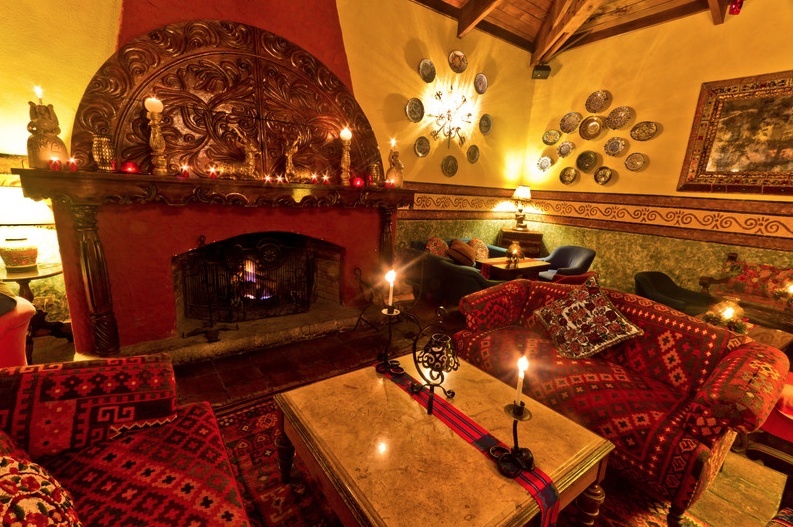 Suitably, the hotels and restaurants here are some of the cheapest in the country, and if you plan to climb Volcán San Pedro, this is the ideal base for an early-morning start. Not many people stop in the Tz’utujil village of San Juan La Laguna, making it a great place to get away from the crowds and get a more authentic look at indigenous life on the lake. There are several artisan collectives in the town’s center including a weaving co-op run by the village women. Their work is of the finest quality and its interesting to watch as they weave their fabric’s village is located a few km north of San Pedro. From here Horseback Riding can be arranged. Santa Cruz, another small village, in about 3 hours. 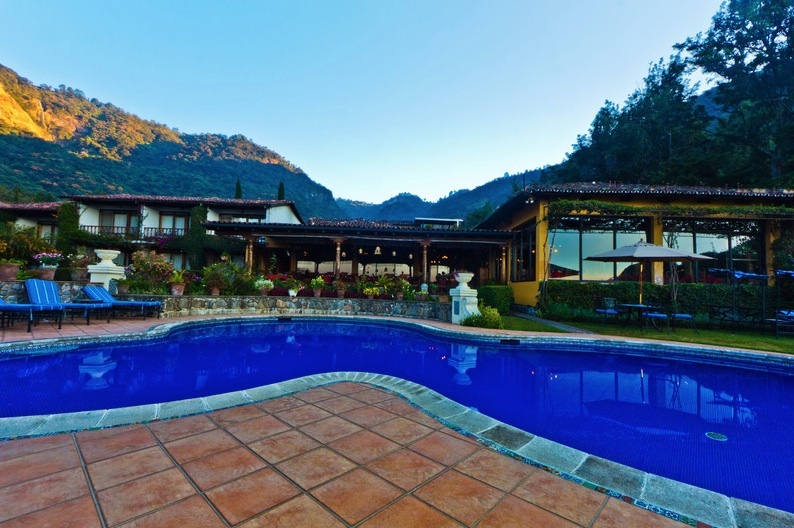 Santa Cruz La Laguna village is known for its tranquility and has the only diving school on the lake. Santa Cruz is much smaller and quieter than San Pedro or San Marcos. From the pier, where the hotels are located at, the village is a steep climb up. mostly made up of tin-roof shacks with several brightly painted Evangelical churches. The traditional Kaqchikel village of Santa Catarina Palopó, 4 km from Pana, is a picturesque village of narrow streets paved with stone blocks, and adobe houses with roofs of thatch or tin. Perhaps the most easily recognizable characteristic of Santa Catarina Palopó is the blue huipiles, or shirt, which is worn prominently by the women of the community. San Antonio Palopó, another 5 km from Santa Catarina Palopó, is a larger farming village and the bursts of color from traditional Mayan dress and the lively weekend markets are no less alluring. This is one of only a handful of regions in Latin America where men still dress in traditional costumes on a daily basis. Tunecos, as they call themselves, raise onions and anise in terraced fields extending up from the lake, which give the landscape a sculptural look. Up the hillside, the gleaming white church is the center of attention. Guatemalan highland markets are a must see. Plan to spend time in the markets, as they represent the legacy of the Mayan civilization, and its current customs and traditions. The markets are full of activities, color, beautiful flowers, fresh fruits, vegetables and herbs in contrast to the costumes of the vendors, who come to sell their products, goods and textiles. You see women carrying baskets full of chickens on his head, carrying children on their backs to even younger children, men with loads of firewood on their backs. This is part of everyday life, as it has existed for generations. (a 15 minute drive) 2,000 feet above the lake, has its market days on Tuesday and Friday. This is the major market center of the area and Mayans come from all over the region, in their native costumes, to sell produce and buy their necessities. “Middlemen” merchants come here to buy and then resell all over the country. It is a colorful and interesting market- a good place to observe the social and economic function that markets serve for the Indian communities. (a 45 minute drive) or “Chichi” as it is popularly called is world famous. Thousands gather for market on Thursday and Sunday in the main plaza between the Church of Santo Tomás and the Chapel of the Calvary. The native market is impressive and goes beyond mere trading. It has changed little over the centuries. Native Mayans from all regions travel to “chichi” to bring and amazing variety of native handicrafts, meant mainly for tourists, along with produce, livestock and all the necessities of life- things villagers cannot make or grow themselves. Do not miss the Santo Tomás Church, an example of colonial architecture, built in 1541 over the base of a prehistoric archeological site. On its eighteen-step stairway, Mayan descendent’s perform ritual worship of their pagan gods with prayer and incense. Inside they worship as Catholics kneeling and praying before altars full of candles and flower offerings. (a 1 ½ hour drive) is another busy market, less visited by tourists. The drive is dramatically beautiful- great mountain peaks, plateaus and valleys planted with corn and wheat intermittently spotted by whitewashed houses with red tile roofs. Totonicapán is best known for the skirt material used by the indigenous women. Market days are Tuesdays and Saturday. (a 1 ¾ hour drive) is Guatemala’s largest Indian (not tourist) market which takes place on Friday. This market is situated on a small plateau 8560 feet above sea level and has an excellent view of the valley of Quetzaltenango. Trading activity here is related to work and the daily life of the inhabitants so that it is easy to buy everything that the Guatemalans in the highlands need. If you are looking for woolen blankets from Momostenango or traditional Corte (women’s skirt fabric) this may be the market for you. However, you will not find the abundance of tourist items found in other markets. (a 2 hour drive) or Xelajú, as it is affectionately known by the locals, is the second largest city in Guatemala. Here you will find the oldest colonial buildings in the country since this is where the Conquistadors first settled. There is a daily market located in a modern three-story shopping center. The surrounding villages of Quetzaltenango have markets worth visiting: SALCAJÁ, known for its jaspe (tie-died) fabrics, has market on Tuesday. ALMOLONGA- colorful huipils, very picturesque, has its market on Wednesday and Saturday. CANTEL has a blown glass factory. ZUNIL is known for its bright purple shawls; market day is on Sunday. SAN MARTÍN CHILE VERDE named after the green pepper gown nearby is another village where the man’s native outfit is very distinctive; market day is on Friday. (A 2 hour drive) once known as Santiago de Los Caballeros de Guatemala, best expresses Guatemala’s colonial period through its architecture and cobblestone streets. The splendor of Antigua is found in the restored and decaying ruins of its colonial period where time stopped over 300 years ago after a devastating earthquake. It was once the third most important city in the Spanish colonies over a period of 233 years. The kingdom of Guatemala included provinces of Chiapas and Soconusco (today part of Mexico), Guatemala, El Salvador, Honduras, Nicaragua and Costa Rica. Three volcanoes, surround the city; Fuego, Acatenango and Agua. In Antigua you will find ruins, museums, churches, monasteries and markets. 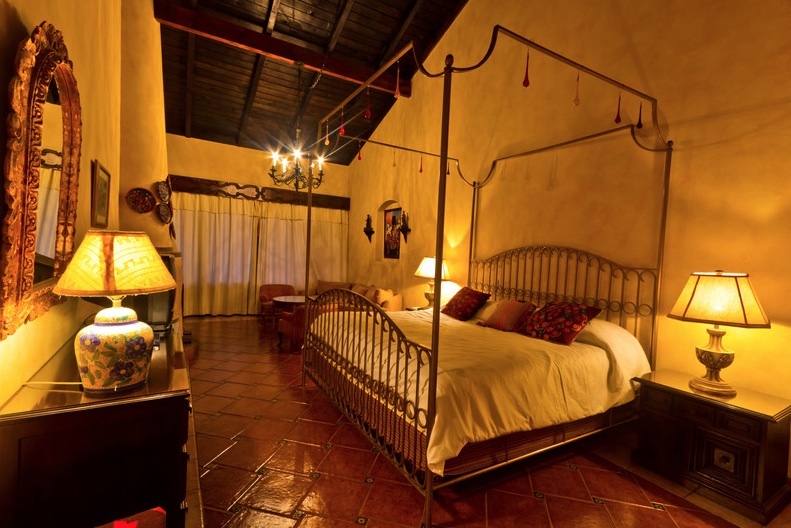 Local artisans make ceramics, forged iron, woodcarvings, candles and locally famous Antigua candy. Antigua is world renowned for its Semana Santa. This period before Easter, is a time of many traditions and religious fervor when the passion of Christ is commemorated with rituals that take place during Lent and end during the Holy Week with processions and vigils.